There’s a lot to be said for a song that’s so well put together, it leaves you wanting more. In the case of Blueprint’s “Graffiti Writer Killed”, palpable suspense was essentially an instrument on the track. 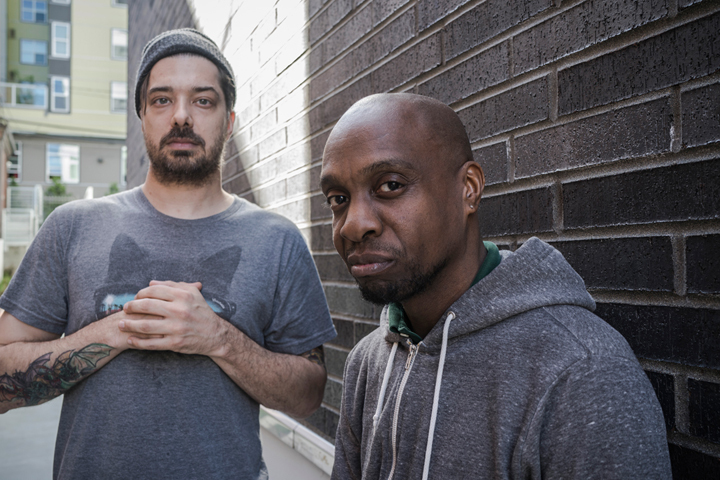 Aesop Rock crafted a soundscape that matched Blueprint’s monotone-yet-dire delivery. Over a gnarly, oscillating synth and pulsating drums, Blueprint projects a vivid picture of the scenario that arises after a local graffiti writer was killed (I’m sure that wasn’t hard to figure). When Blueprint gets suspicious that the murderers thought the victim was him, he gets a drone to compile a “two-page report,” presumably to take revenge into his own hands. After figuring a “strong cross-reference might get me much closer,” he narrows down his list of potential suspects to four. Blueprint asks his drone to direct him to 1875 Lockbourne Road, and then… you’ll have to listen to it for yourself. Hopefully the next step will be explained on Blueprint’s upcoming Vigilante Genesis EP, which is produced entirely by Aesop Rock. Whatever the case, the two-minute track is an exhibition on how to build intrigue, from both MC and producer. Blueprint’s baritone and slinky flow smoothly paces the story, and Rock’s production raises the stakes with every bar. “Grafitti Writer Killed” can be streamed below.